Pioneers in the industry, we offer adalaj holiday package, ahmedabad holiday package, mosque of sidi sayeed holiday package, champaner vadodara holiday package, junagadh holiday package and mount girnar holiday package from India. 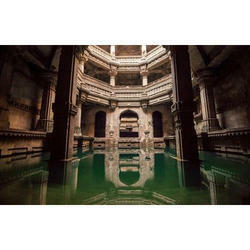 Located in the peaceful village of Adalaj,18km from Ahmedabad, this baoli ( stair well ) was used as a resting place for pilgrims and caravans along their trade routes for hundreds of years. Built in 1499 by Queen Rudabai, wife of the Vaghela chief, Veersingh,this five - story stair well was not only a cultural and utilitarian centre, but also a spiritual refuge. It is believed that the villagers came every day in the morning to fill water,offer prayers to deities carved into the walls and interact with each other in the cool shade. The well is a spectacular example of Indo-Islamic architecture.All the walls are carved with mythological scenes and scenes of dancers accompanied by musicians, women adorning themselves and a king sitting on a stool. Founded in 1411 by Ahmed Shah, the city fell to the Mughals in 1572. It became a commercial center that continued to grow until the death of the Mughal Emperor Aurangzeb in 1707. The city then began a slow decline until the British built many textile factories, which earned it the nickname of the "Manchester of the East". 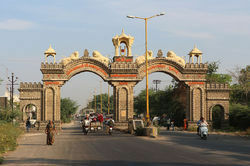 It is in Ahmedabad where Mahatma Gandhi established his ashramand from where he led the fight for independence. 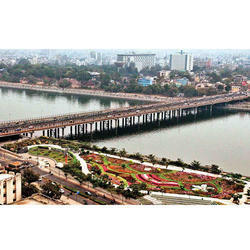 Today Ahmedabad is one of the most industrialized cities of India. 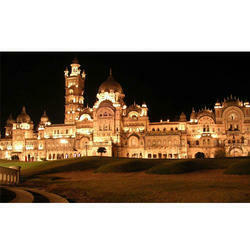 However, it contains many architectural wonders of Islamic Hindu style. This small mosque was built in 1573 by Sidi Saiyad, a slave of Ahmed Shah. 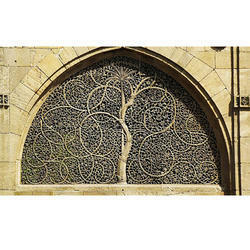 It is particularly renowned for its beautiful windows carved in the form of a tree. Mahatma Gandhi's Ashram After his return from Africa, Mahatma Gandhi founded this Ashram in 1918. It is from here that he fought for the Independence of India and also for the rights of the 'untouchables'. It is also from here that Gandhi started his salt march in 1930. Today it houses a memorial, a museum and a library, and also some of the personal belongings of Gandhi. Champaner is an ancient capital of Gujarat, fully fortified, and a part of the UNESCO World Heritage. There are superbe mosques whose exterior decorations have been influenced by Hindu elements. The mosques are no longer in use and are places truly quiet and peaceful. The city has remarkably well preserved Hindu and Jain temples approximately a thousand years. Mosques dating to the Sultanate of Gujarat, and the vestiges of a well planned urbanism with its fortifications, grain elevators, step wells and cemeteries. Champaner was declared a World Heritage Site by UNESCO in 2004. 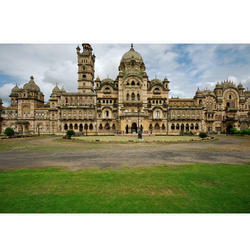 Junagadh is an ancient historical walled city. The city gets its name from the presence of the old fort. The city was built at the foot of the Girnar hills. Emperor Ashoka has left his presence in the form of edicts carved into the rock in 250 BC. Thereafter many dynasties left their presence and the city experienced the influence of the four major religions of India : Buddhism, Hinduism, Jainism and Islam. This resulted in a very distinctive architecture in building construction. This hill, which overlooks the city is sacred to the Jains. 16 temples were built between the 12th and 15th century. 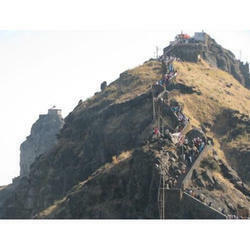 To get to the summit, one must climb at least 7000 steps, 10000 steps for the Jain pilgrims. This huge staircase was built between 1889 and 1908. 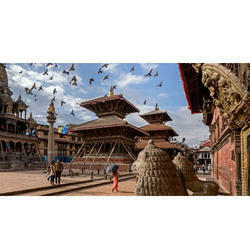 The most important temples are Neminath temple (12th century), the Mallinath temple (13th) and the temple of Amba Mata. Lothal was discovered in 1954. It is an archaeological site dating back 4500 years. 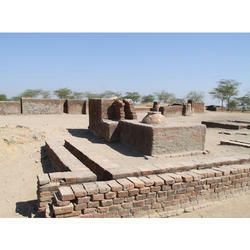 It was then an important port of the Indus Valley Civilisation in the Indian sub-continent. The city was a thriving center from 2440 BC. BC to 1900 BC, a period when it was part of the Indus Valley civilization. Like other cities of the Indus Valley Civilization,Lothal has been thoughtfully planned with respect to architecture and urbanism. Excavations have shown that the city was divided into two parts:the upper part where there were leaders and notables and the lower part where the commoners lived.The whole town was gifted with a network of sewage disposal, paved streets, wells and a bath room in every house. Some of the houses had had two or three levels and were built on a platform for protection against rising waters. Patan was the capital of the Solanki dynasty who built the temple of Modhera, Patan has very few remnants of this period except for the 'Step Well of the Queen' which dates to 1075 AD. The quality of the sculptures of the gods belonging to the Hindu pantheon are remarkable. The Asiatic was very nearly eliminated from the animal landscape when hunting was permitted in the early twentieth century. It took the intervention of the Nawab of Junagarth to prohibit this practice and encourage the reproduction of this species in the wildlife sanctuary of Sasan Gir. 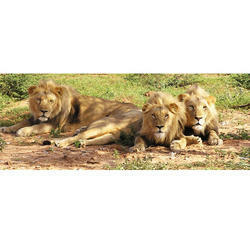 Now there are more than 300 lions in the sanctuary. The temple of Modhera, dedicated to Surya, the sun god, was built in the 11th century by King Bhima Deva Solanki dynasty of Patan, to commemorate his victory over the famous and sinister Mahmud of Ghazni. This is one of the most beautiful temples in Gujarat. The temples are of varying sizes and interest. The Chaumukha temple (1618) is dedicated to Adinath,the first Jain Tirthankara. This temple is at the summit of the hill and is visible to pilgrims from a distance of 40km from Palitana. It houses four statues of Adinath,facing the four cardinal points. The Adiswara temple is the most richly carved and decorated. Especially admirable are its marble pillars and roofs with carved dragons.The temple of Vimalshah has 5 central domes which represent the five sacred hills of the Jains.